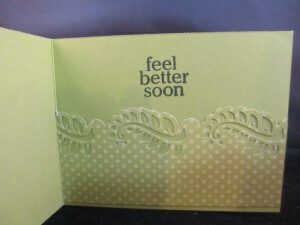 A friend had surgery so I made this card so she knows we are thinking of her. Such a lovely card. I’m sure this will cheer her up! The card is Lovely!! 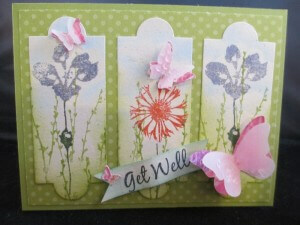 What a great way to use the label die cuts. I am sure this will brighten your friends day.